Selena Thinking Out Loud With Purpose is participating in a Book Tour for a new book by Shepherd Hoodwin, titled, Enlightenment for Nitwits: The Complete Guide to 2012 & Beyond! I have been provided the book to review to give you an idea of how interesting this book is and why you should go out and buy it for your own personal collection. And, I am not the only blogger writing a review and participating in this HUGE book tour. Below, you will find other bloggers who have read Shepherd's book and give you their insider perspectives as well. After the book tour, we will also have a Giveaway beginning Sunday, September 2, 12:01AM/EST - September 22, 2012 at 11: 59PM/EST. Make sure to put the dates on your calendar to come back and enter the giveaway to be one of three (3) Winners to receive a SIGNED copy from the author! Enjoy! When I decided to review this book, I was immediately drawn in by the eccentric cover of the book. I knew that it would be full of humor and attempt to prove some type of point as to poke fun of our many ideals on life. From the very first page, I knew that this was not going to be a typical "how to" book or instruction manual on how I could live a more "enlightened" life. It was raw and really shocked my socks off with the language he used in his writing. Personally, it's really difficult for me to read some writer's works because they don't grab me in the beginning, which causes me to delay on finishing them, but that was totally not the case with this book. I was reading it every chance I could get and had moments when my jaws dropped in complete shock at how he shared his views on topics we all find very precious and sometimes personal. He touches on sexual preferences, aging, God, stories from people in his life and so much more to just share here! As I flipped through each page and continued to read, I knew that these were the words of a man who was really opinionated but, almost at times, referenced thoughts that I was having but would be a little hesitant to say out publicly, so to speak. The book is divided into 9 Parts with content that is seriously hilarious, funny, witty, and downright wrong, if you read it from a more conservative view. I found myself re-reading particular topics because they were so awing that I had to make sure that I read the information correctly. If I had children, this is one book that I would keep locked up until they finished college and then give as a graduation gift to "enlighten" their minds to all the craziness they have to look forward to as they begin their own lives outside of my care. Would I recommend this book to you? Absolutely! And, I am not getting any compensation to say this. It is one that you can read when you're just downright feeling like crap and want to be amused by someone other than your favorite television shows or YouTube videos. Did I feel "Enlightened" after reading his book? In a weird and subconscious way, yes! I found myself thinking about how we put so much emphasis on things that are really so silly to start with but we think matter so much to our existence and daily living. It really goes to show how using his raw and transparent techniques of writing actually planted seeds of enlightenment for me. If many other writers out there were brave enough to do the same, maybe we all could live in this world less judgmental and more accepting of one another and our differences. 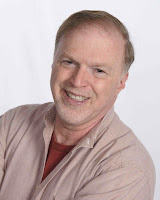 Ebook Kindle Edition - Enlightenment for Nitwits: The Complete Guide to 2012 & Beyond! 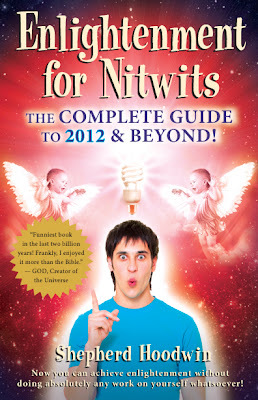 Paperback Edition - Enlightenment for Nitwits: The Complete Guide to 2012 & Beyond!